Our extensive range of accessories are designed to enhance your mobile workstation by improving your efficiency and productivity. 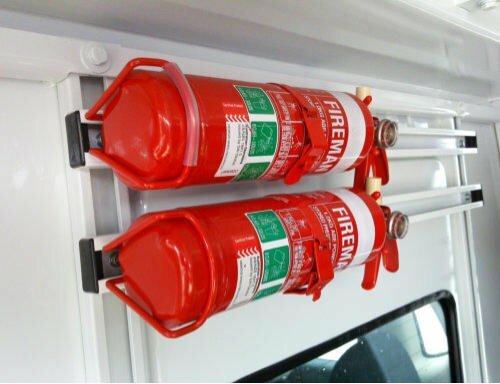 All our accessories are design with safety and longevity in mind ensuring you meet you OHS requirements. 3 Tier shelving with bins to the top 2 shelves. Available for Engel, Waeco and other types of fridges. Gives you convenient slide out access. Steel Frame with heavy duty gas strut and a 4” vice. 5” vice available on request. Available in 1kg, 2kg, 4kg or 9kg. Headboard mounted spare wheel bracket. Can hold up to 2 tyres. Can be used internally or externally to hold large loads/ ladders. Conduit carrier with ribbed conduit end caps to allow easy access. Available in 100mm or 150mm diameter. Available for all single, extra and dual cab bodies. Perfect for working roadside or in tight car parks. The muller vent creates vacuum within your canopy therefore allowing it to breath. Available in unsealed or sealed versions at lengths of either 1.65m or 1.8m. Provides storage space for shovels, brooms etc. 3mm Aluminium construction with internal seals. Fully lockable and suitable for most cab chassis. For mounting 3 Bolt beacons to our Aerostrut or other type of roof bars. Available on all single, extra and dual cab bodies. Adds an unmatched level of style to your aluminium canopy. Available in standard and heavy duty. Increase stabilty and road performance when carrying loads. Available in 3.4, 2.9 and 2.4 metre lengths. Channel mount system integrated throughout for added usability. Aluminium construction with channel mount system incorporated. Perfect to guide your ladders onto the roof rack and for tying purposes. Protective box to house your battery. Utilise with a Bull Motor Bodies undertray secondary battery carrier. Secondary Battery Setup fitted with REDARC smart start solenoid. Bull Bar or engine mount isolator switch. Can be lockable. LED lighting options available on request. Mine Style Light Bars fitted with high level brake and indicator, reverse buzzer, beacon and buggy whip @ 1.2m. Rectanlge worklamp with external switch and spread beam. Commonly used with 12 volt fridges. Essential when doing site work. Available in “Night Friendly” format also. 3.5” Colour LCD Screen with 150 degree viewing camera incorporating night vision technology. Excellent when reversing into those tight car park spaces. Upgrade your standard locking mechanisms to central locking. Utilises the existing central locking system fitted to your car.